Cloths can come in many different colors, depending on print color. Our client originally wanted a red cloth with white print, but the red is so prominent, we decided a black cloth would look better. 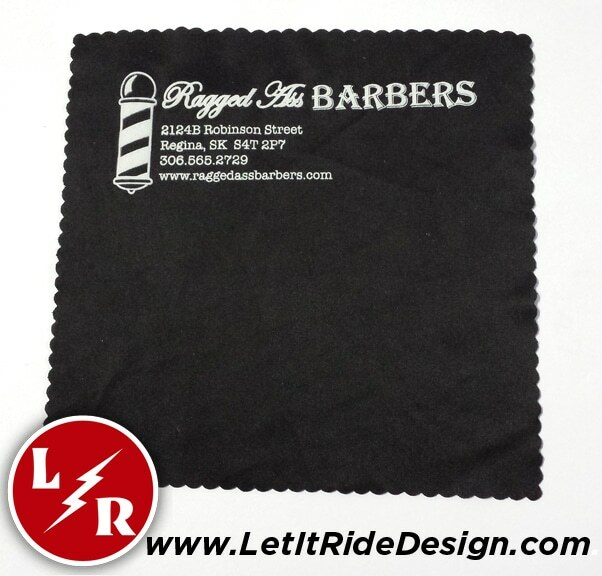 If you are looking to get custom microfiber cloths, send over your ideas and artwork and we’ll set you up. And remember, if you don’t have a design, we got you there too.